The search for a common ancestor that connects modern humans with the Neanderthals who lived in Europe thousands of years ago isn’t over yet, researchers say. A new study using quantitative methods focused on the shape of dental fossils finds that none of the usual suspects fits the expected profile of an ancestor of both Neanderthals and modern humans. The findings also suggest that the lines that led to Neanderthals and modern humans diverged nearly 1 million years ago, much earlier than studies based on molecular evidence have suggested. “Our results call attention to the strong discrepancies between molecular and paleontological estimates of the divergence time between Neanderthals and modern humans,” says Aida Gómez-Robles, postdoctoral scientist at the Center for the Advanced Study of Hominid Paleobiology at George Washington University. The study, published in Proceedings of the National Academy of Sciences, relies on fossils of approximately 1,200 molars and premolars from 13 species or types of hominins—humans and human relatives and ancestors. Fossils from the well-known Atapuerca sites have a crucial role in this research, accounting for more than 15 percent of the complete studied fossil collection. The researchers use techniques of morphometric analysis and phylogenetic statistics to reconstruct the dental morphology of the last common ancestor of Neanderthals and modern humans. They conclude with high statistical confidence that none of the hominins usually proposed as a common ancestor, such as Homo heidelbergensis, H. erectus, and H. antecessor, is a satisfactory match. 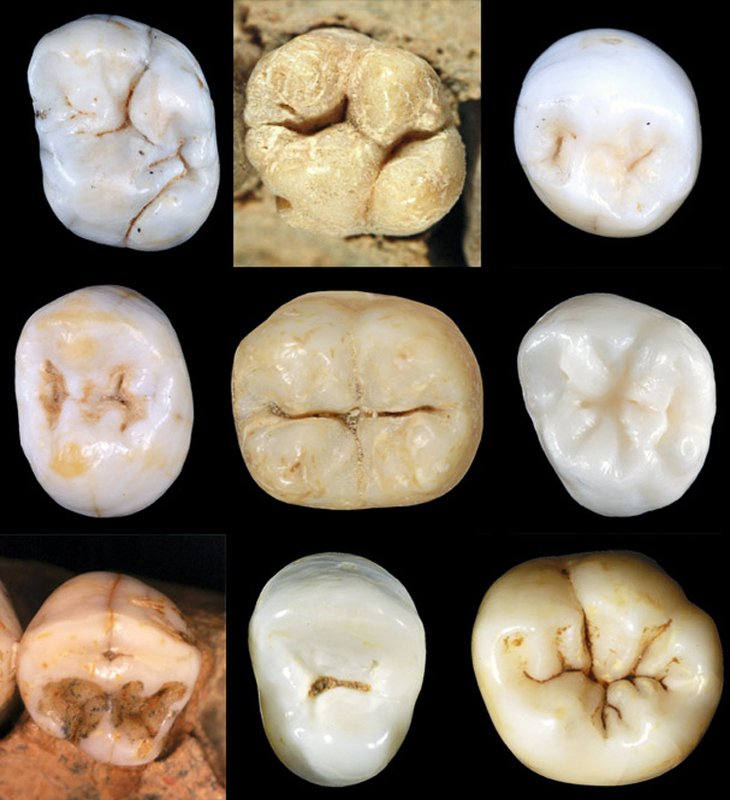 “None of the species that have been previously suggested as the last common ancestor of Neanderthals and modern humans has a dental morphology that is fully compatible with the expected morphology of this ancestor,” Gómez-Robles says. The study also finds that the potential human ancestors discovered in Europe are morphologically closer to Neanderthals than to modern humans. This suggests the line leading to Neanderthals arose around 1 million years ago and the divergence of humans took place much earlier than previously thought. Other studies have placed the divergence around 350,000 years ago. The researchers argue that quantitative and statistical methods provide a better way to settle debates about human origins than the descriptive analyses that have been used in the past. They also suggest applying their methodology to study other body parts represented in the hominin fossil record. What comes next? Answers to the ancestry question could come from studying hominin fossils from Africa, the researchers say. But the African fossil record from the era of interest is sparse. Researchers from Konrad Lorenz Institute for Evolution and Cognition Research in Austria and Atapuerca Research Team in Spain also contributed to the study.